Rules of Golf: Shout "Fore!" Whilst not strictly about any Rule of Golf, this article is about an important golf-related subject that should concern all of us who play the game. 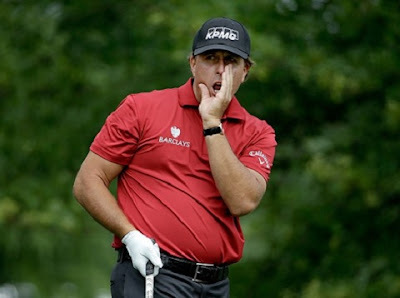 When viewing competitive golf at any level, I am regularly surprised at how often players who hit errant shots fail to shout the customary “fore”, to warn anyone in the vicinity that they should take cover and/or protect themselves from being hit by a golf ball. If a player plays a ball in a direction where there is a danger of hitting someone, he should immediately shout a warning. The traditional word of warning in such situations is "fore." All members are therefore strongly recommended that the use of such warnings is expected at all times when there is risk of injury and failure to do so will result in a player being disciplined under the above regulation. On the European Tour, I'd say it's about half-and-half between players that do and don't shout "fore". The problem is more widespread in the USA, and I’d say only 10 per cent of PGA Tour players consistently shout “fore” when they should. It's no coincidence that the galleries on the PGA Tour are bigger, meaning there is a better chance of getting a lucky deflection off an unsuspecting spectator. It happens every week. The bigger the name, the bigger the galleries, and the less likely there will be a shout from the player or his caddie. A shortened version of ‘forecaddie’, a person employed to stand where the ball might land, so as to reduce the number of lost balls, which were handmade and substantially more expensive in the early days of the sport than they are now. (This is the explanation that I favour). From the military battle craft of musket days, when rank after rank would fire fusillades over the heads of those in front. In other words, the term ‘Fore” might have been used to warn those in front to drop to their knees. Similar to 2. above, it is claimed that “Fore!” was derived from an artillery term warning gunners to stand clear with the term “Ware Before!” (Beware Before!) being foreshortened to “Fore!” (rather than “Ware!”). More information on the origin of this traditional warning in golf can be found at the excellent Scottish Golf History web site at this link. If you want to purchase paperback copies of either of my books, ‘999 Questions on the Rules of Golf’ and ‘999 MORE Questions on the Rules of Golf’, perhaps as Christmas presents that you can lay under the tree, you can do so by clicking on the appropriate book at this link. However, let me remind you paperbacks are more expensive than the eBook formats that I provide direct, and uniquely, I deliver two downloadable files; .pdf, which can be printed out in sections, as required; and .mobi, which can be read from any device that has the free, Kindle app downloaded. Click here for more information on eBooks and to purchase. It really bothers me when pro golfers smash it into the crowd and can't even be bothered to shout fore. Then when it smashes someone in the face, they give the poor victim a glove to apologise. How about shout in the first place. Im pleased to see the tour doing something about it, it's long overdue.